Meredith Corp, the publishing group which acquired Time Inc. magazines last year, announced the deal to sell Fortune to the businessman who is affiliated with Thailand's largest company. Chatchaval Jiaravanon will own Fortune magazine as a personal investment. Thai businessman Chatchaval Jiaravanon agreed Friday to buy Fortune magazine for $150 million in the latest deal for titles from the former Time Inc. family. 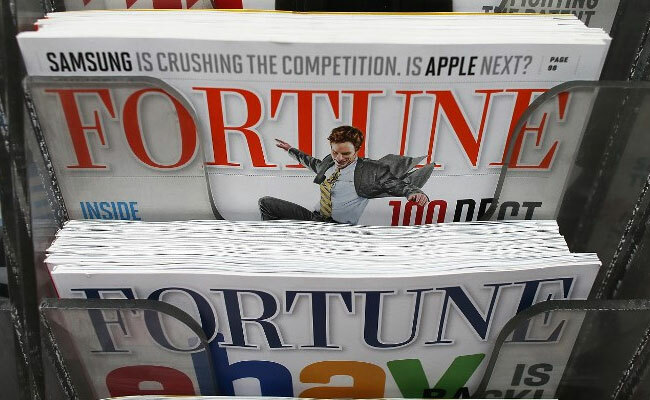 Meredith Corp, the publishing group which acquired Time Inc. magazines last year, announced the deal to sell Fortune to the businessman who is affiliated with Thailand's largest company, a conglomerate operating in telecom, media, food, retail, pharmaceuticals and other sectors. Jiaravanon will own Fortune as a personal investment independent of the Charoen Pokphand conglomerate, according to a statement from Meredith. "Our vision is to establish Fortune as the world's leading business media brand, with an always-on reach and global relevance," said Jiaravanon in the statement. "The demand for high quality business information is growing, and with further committed investment in technology and brilliant journalism, we believe the outlook for further profitable growth is excellent both for the publication and the events business." The announcement comes less than two months after Meredith agreed to sell the iconic Time magazine for $190 million to Salesforce.com chief Marc Benioff and his wife Lynne. Alan Murray, a veteran journalist who will be president and chief executive of Fortune, said: "I am pleased that we have found an owner for Fortune who believes in our mission, values our editorial independence, wants to invest in our journalism ... We will be doing big things in the future." Meredith still owns Sports Illustrated and People magazines among those it acquired in the $1.8 billion Time deal, along with its own fashion and lifestyle brands including Better Homes & Gardens.